SEBO's 7-yr warranty on motor, 5-yr warranty on parts and labor. Don't Trash Your old Vacuum Trade It In For A New Sebo. 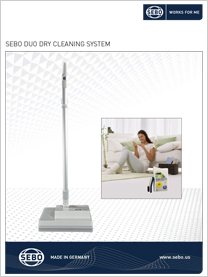 The SEBO D4 is the new icon of canister vacuums and so much more! Equipped with many extras that will make your life easier, the D4 offers unmatched user comfort and smooth operating maneuverability. Its new design optimizes airflow to deliver amazing suction power and ultra-quiet operation. 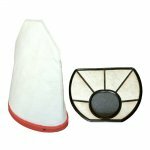 Its quality filtration system features S-class hospital-grade filters and huge 1.6 gallon filter bags. Its new ergonomically designed handle with fingertip power and suction controls paired with easy-to-use floor tools, 3 onboard accessory tools, 4 easy glide casters, and the largest ever 50 ft cleaning radius, simplifies your cleaning experience like never before. SEBO's patented Airbelt bumper system quietly diffuses air while protecting the canister and your home from scratches and scuffs. German-made for quality and durability. Includes SEBO's 7-yr warranty on motor, 5-yr warranty on parts and labor. 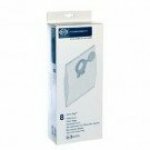 Vacuum Bags are Hygienic and Improve Filtration, Suction and Cleaning Performance- Filter bags are essential components of high-performance vacuum cleaners because they hold virtually all the dirt captured by the machines, which improves the effectiveness and useful life of vacuum microfilters. This is true because only a tiny fraction of particles escape from SEBO's three-layer bags, but any such particles are then easily trapped by highly effective microfilters. Bagless Vacuums are Not Hygienic and Diminish Filtration, Suction and Cleaning Performance- Without bags to hold nearly all the captured dirt, the microfilters on bagless vacuums quickly clog from excessive dirt build-up and must be replaced often or a loss of suction and cleaning effectiveness will occur. And bagless vacuum microfilters are expensive, usually costing more than a multi-year supply of SEBO's large capacity filter bags. And perhaps the most annoying problem is that dust and other allergens become airborne when emptying bagless vacuum dirt containers. Why are Bagless Vacuums So Popular?Bagless vacuums outsell bagged vacuums in today's USA marketplace. This should not happen, if one considers the substantial advantages bagged vacuums offer, as compared to bagless machines. But there is a reasonable explanation for this situation. Simply put, bagless vacuums are popular for two reasons: 1) the perception that money is saved by not buying vacuum bags, and 2) it is easier to empty a bagless dirt container than to replace a full vacuum bag. Slick manufacturer advertising campaigns further support these notions. In reality, however, these perceived advantages are more than offset by the high cost and inconvenience of frequent microfilter changes, diminished filtration and suction performance, the shortened life of vacuum motors caused by clogged microfilters, and the hassle of emptying perpetually full dirt containers. HEPA Pre-motor Microfilters (Optional) –HEPA Pre-motor Microfilters ("High Efficiency Particulate Air") remove a minimum of 99.97% of all airborne particulate matter down to 0.3 microns in diameter. Because these filters use small grid-like structures to capture dust particles, dirt build-up clogs the airflow pathway sooner than what is expected from S-class microfilters. However, SEBO’s HEPA microfilters are sold along with four-layer "Ultra-bags," which provide highly effective filtration before the airflow goes through the HEPA microfilter, greatly increasing life expectancy and reducing the potential of diminished air flow. Exhaust Filters –Exhaust filters clean the air emitted by the vacuum motor. SEBO Vacuums Receive International Recognition And Product Accolades! March 2011, Berlin, Germany. The AIRBELT D4was awarded the prestigous "iF Product Design Award." 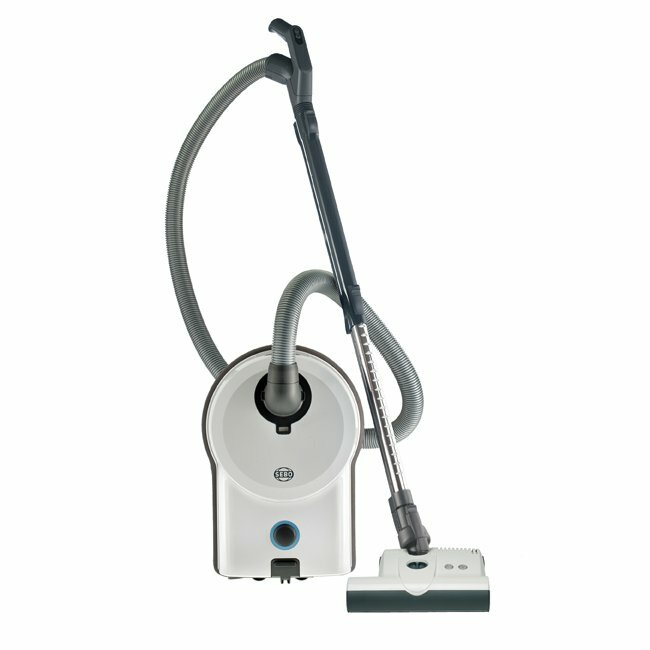 March 2011issue, recommended the SEBO FELIX as best for a lightweight upright vacuum equipped with a filter bag system! See page 48. October 2010, Berlin, Germany,awarded the PLUS X Seal to the AIRBELT D4 in the category "Ease of Use" and "Innovation." 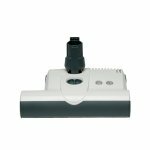 September 17, 2010issue, chose the AUTOMATIC X5 as "Best HEPA Vacuum Cleaner" (among uprights) and noted its low profile for easy under-furniture cleaning, excellent barefloor and pet-hair cleaning, and good embedded-dirt pick-up. 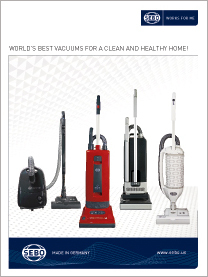 See Product Testing/HEPA-vacuums Section. 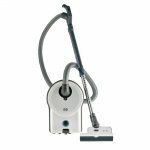 September 17, 2010issue, chose the AIRBELT C3.1 as "Best HEPA Vacuum Cleaner" (among canisters) and noted its good embedded-dirt and bare-floor performance, excellent pet-hair removal performance, and its extended nozzle for under-furniture cleaning. See Product Testing/HEPA-vacuums Section. October 2009issue, chose the FELIX 1 Premium as "Best Buy" for the bagged upright vacuums. They reported it to be nimble and the easiest to handle during use. They also mentioned the excellent maneuverability of its 180-degree swivel neck and that its 6-inch profile fits under furniture. See pages 25 to 28, and page 67. June 2009issue, reported the German-made AUTOMATIC X is built to last and features a sealable triple-layer bag and hospital-grade filtration. They also noted its 5.5-inch profile that easily cleans under furniture, its automatic height adjustment, and automatic shut off in the case of a full bag or when the brush roller is jammed. See page 60. June 2008issue, London, England, gave a "Five Star Rating" to the FELIX as the best upright cleaner for removing pet hair! 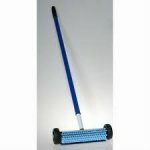 It was considered easy to assemble, lightweight in operation, and cleaned exceptionally well on a variety of surfaces. They noted that this stylish vacuum earned the "Seal of Approval" from the British Allergy Foundation. See pages 34 to 36. May 2008 issue, chose the AIRBELT K2 as an "Editor's Pick" and noted its strong suction, its bumper that prevents damage to walls and furniture, and its stylish design. See page 88. November 4, 2007issue, displayed the FELIX Fun on the front cover. There was also a brief article called "Inside the Box," on page 114. November/December 2007issue, chose the FELIX Premium Classic for the "What is on Your Gift Wish List?" The featured photo appears on page 42. October 2007 issue,chose the AUTOMATIC X4 as "Best Buy" for bagged upright vacuums. 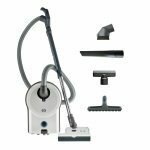 It reported that the X4 is the lightest vacuum in its price range and has automatic height adjustment. See page 48. May 24th, 2007, Berlin, Germany,awarded the PLUS X Seal to the AUTOMATIC X4 in the category "Innovation." May 24th, 2007, Berlin, Germany,awarded the PLUS X Seal to the AIRBELT K3 in the category "Ease of Use." March 2007,the AUTOMATIC X4 made "The Green List," and it mentioned it lies flat to get under the sofa. See page 61. November 2006issue, chose the FELIX as "Editors' Pick" for vacuums in the "Best Gadgets and Gizmos on the Planet 2007." The FELIX was the lightest tested, weighing only 15.4 pounds, and the overall best. See page 116. September 2006issue, gave the FELIX the "Product Spotlight," and mentioned its solid and quiet performance. See pages 251 and 254. May 2006, Berlin, Germany,awarded the PLUS X Seal to the FELIX in the category of "Ease of Use." The award was showcased in the Hall of Fame at the IFA Show, Berlin, September 2006. April 2006issue, awarded "Five Check Marks" each for the AUTOMATIC X4 upright and the AIRBELT C3.1 canister. The X4 is considered industrial chic to the max. They also noted that it self adjusts to different carpet heights and bare floors. The C3.1 is considered to be sleek and have intense, but quiet, suction. See pages 114 and 115. December 2005issue, placed the FELIX in its "Best Products of the Year" issue. See page 50.